If you're planning on purchasing one of those new Android Wear flavored smartwatches, here is something that you need to consider. 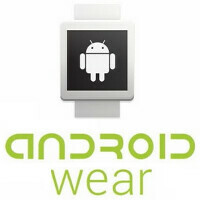 These wearables require that the syncing Android smartphone used, be powered by Android 4.3 or higher. The problem is that this requirement quickly eliminates 75% of Android smartphones from being used with an Android Wear smartwatch. The latest Android distribution figures showed 23.9% of Android handsets powered by Android 4.3 and Android 4.4. That dramatically cuts the possible pool of potential customers for the LG G Watch, and the Samsung Gear Live. The Motorola Moto 360 also is powered by Android Wear, but won't be available until later this summer. Because of this requirement, if you are planning on buying someone an Android Wear powered smartwatch, you're going to have to know which Android smartphone they use. And if it's an Android phone that doesn't run Jelly Bean or KitKat, you will either have to get them a different gift, or buy them a new Android phone that runs on either build of Android, along with the watch. If you're unsure whether or not a specific Android phone will work with your Android Wear watch, our data base contains the latest information. Just type in the name of the phone from our site search, and click on the image of the phone under "Phone Specifications". I think it'll be about the same for iPhones, and the iWatch. I doubt anything older than the 4s will support it. Nah, it will be anything running ios7 which is on like 80/90% of all iPhones. I wonder if they'll make the 4 compatible. Single core 800 MHz CPU, might not be able to handle it. According to the interweb, the 4s and newer are compatible with iBeacon. They need to have BT 4.0 with dual mode for it to work, and apparently Apple started that on the 4s. Now that only means that hardware and newer is compatible, that doesn't mean the software will be available back to 4s. But hardware wise it should work. Doubt it, Apple's history suggests they will withhold it from anything that cannot run iOS 8 and even some that can. Since the health app is only available in iOS 8 I doubt they would allow iOS 7 to work with it and not be able to track its data. The health app doesn't require anything special. It will be released with iPhone 6/ios 8, but will probably be released to the App Store. With that being said, ios 8 will be supported all the way down to the iPhone 4s. That still would be like 70% of the iPhone market. Let's not forget even though apple will put ios 8 on older devices, it necessarily won't have every single features from the full ios 8,some things may be held back due to hardware, some things will be left out because apple will want to keep exclusive for the newer devices . Also my guess is whatever wearable apple makes it will make likwly be using Bluetooth 4.1 le for the battery efficiency so chances are the devices that have Bluetooth 4.1 le will only be supported. Lol! Like I said above, even if you eliminate the iPhone 4 which came out 4 years ago, there will still be about 70% of iPhones that will support the iwatch. Like you said earlier, if you are still rocking an iPhone 4 in 2014/2015, you wasn't going to buy an iwatch anyway. With that being said, I guess we see where most of the android marketshare comes from. CHEAP PHONES!!! Lol that is cute, seeing as how the quoted 23% number alone means almost 300 million devices. By the end of that year that number will be over half a billion, meaning almost as much as the competition has sold in their lifetime of smartphone sales. I think their prospects for sales are perfectly fine, the article is just trying to sensationalize nothing. At $197 to manufacture, cheap phones are where iOS get all of its market share. Yea but what's funny is that this is evidence that only 30% of android phones are highend. Please explain why that's funny? Is there anything wrong with low or Mid range phones? Isn't it nice that Android supports everyone of different income? Here's something funny, Apple doesn't care about the poor. It just means that Apple doesn't really compete with the low end, so when you compare marketshare, you only need to look at 30% of the Android Market. that's not true. You should compare everything. Every person counts, don't try to act like poor people don't buy apps. Just they don't see a need for a 1080P Display (I don't either though, wish I could get high end specs with 720P Display, would get amazon phone if it wasn't locked to at&t). Your opinion is so absurd . Apple not competing in low end? Then what the heck is 5c for? A recycled overpriced iPhone 5 with a plastic garbage back cover doing in their company.? Tell me this is a high end phone. Because the android camp is consistently knocking other devices that are 'cheap'. Specificially aimed at say....MS because their 520/521 was a hit at a cheaper price. Yet I can go get a brand new, brand new mind you, android 2.3 phone today. Not used, refurbished, brand new at my local Walmart. The cheapest WP is the 520/521 and they will be getting updates that the 2.3 wish it could get via android 4.4 kitkat. Not necessarily. I know quite a few people who are still using older high end phones. Of the 2 of my brothers that have smart phones, one is a Droid Incredible (the original one), and the other has an LG Lucid. Not everyone upgrades every two years. Younger people probably will, but older customers tend to use them until they fail. All they need a smartphone for is calls, texts, and some web browsing. Even the original Motorola Droid could still handle that. The brother with the Incredible only has 10 apps downloaded, the rest were what came with the phone. I'm not saying that lower end phones don't contribute to that number, but that number is also counting countries were the population may be to poor to even afford anything beyond their smartphone, and it could very well be their sole source for internet. The reason Apple doesn't have a presence there is because most of the populace can't afford an idevice. You make it sound like a bad thing that Android OEMS are offering them a way to be connected. A lower end phone is better than none at all. Of course. Why shouldn't the population be treated to a mainstream operating system? Look at windows PC's, low end to high end are supported. Is there some social prejudice that you have about lower income people shouldn't have access?